Size: 27 inches. 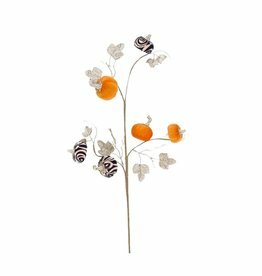 Glittered Fall Leaves with Solid and Patterned Fabric Covered Pumpkins Floral Pick - Spray. Fall and Pumpkin Themed Halloween Decorations and Decor. Get Inspired with these great Halloween Decorating Ideas by Mark Roberts. Size: 27 inches. 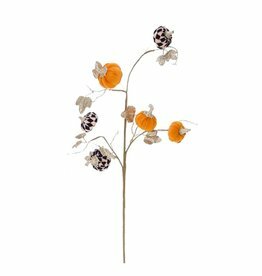 Glittered Fall Leaves with Solid and Patterned Fabric Covered Pumpins Floral Pick - Spray. Fall and Pumpkin Themed Halloween Decorations and Decor. Get Inspired with these great Halloween Decorating Ideas by Mark Roberts. Size: 55 inches. 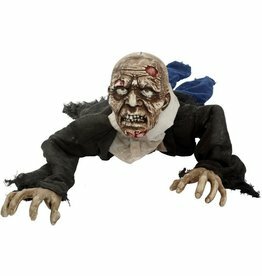 Halloween Animated crawling zombie. 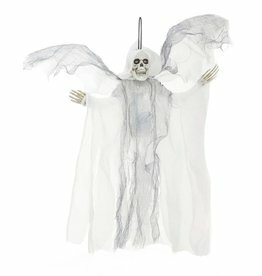 Halloween Decorations and Decor by Mark Roberts Fall Holiday Collection. Size: 5 feet. Halloween Animated Butler holding candy dish. 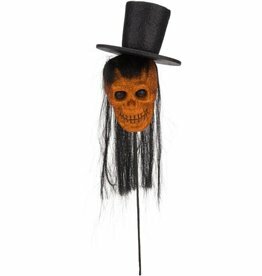 Halloween Decorations and Decor by Mark Roberts Fall Holiday Collection.